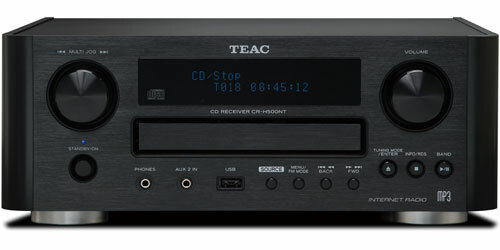 Teac Launches All In One Music Player - Teac CR-H500NT ! CR-H500NT is the latest all in one music system comes from Teac with a lot of expectation. This device features a built-in CD player, an FM tuner and a USB port in order to connect your iPod or other USB devices. At the same time, you can have a 2 x 40 W output with the support of Ethernet and WiFi 802.11b/g internet connectivity that allows you to access internet radio and music streaming from a networked PC/Storage. This Teac CR-H500NT is expected to be available from November for 89,250 Yen or $990.